Novartis has faced questions about the cost of its heart failure drug Entresto. The deafening public outcry over drug pricing has forced health insurers and pharmaceutical companies to devise ways of expanding access to potentially life-saving drugs without breaking the bank. Value-based contracts, in which insurers pay for drugs based on their effectiveness, have begun to sprout, and more are expected to follow. But experts believe these types of deals, although potentially beneficial, are not a panacea for managing drug costs. Value-based contracts may also be hard to orchestrate since they require doctors, insurers, pharmacy benefit managers and drug companies, often rivals, to cooperate and share data. “What you still don't know at the end of the day with these outcomes agreements is whether they save money,” said Dr. Steven Pearson, president of the Institute for Clinical and Economic Review. This month, drugmaker Novartis and insurers Aetna and Cigna Corp. agreed to pay-for-performance deals for Novartis' heart drug Entresto, which costs about $4,500 annually and was approved by the government last July. The discounted amount Aetna and Cigna will pay for Entresto depends on whether the medication reduces hospitalizations for their commercially insured patients with congestive heart failure. In exchange, Novartis will gain volume, and Entresto will become a preferred drug, subject to prior authorization, on Aetna and Cigna's formularies. The Entresto contract came just months after Harvard Pilgrim Health Care, a New England-based insurer, publicly reached a deal with Amgen for Repatha, a new cholesterol-lowering drug. Amgen will provide rebates to Harvard Pilgrim if its members' cholesterol levels are not reduced to “what was observed during clinical trials,” and if the medicine is prescribed beyond a predetermined quantity. Express Scripts Holding Co., the nation's largest pharmacy benefit manager, or PBM, also started paying for the performance of certain cancer drugs this year. Contracts that link drug payment to health outcomes are common in the U.K. and other European countries, many of which run single-payer systems. But the U.S. has tinkered with these arrangements as well. Cigna, for example, worked with Merck & Co. in 2009 to create a value-based deal for Merck's diabetes medications Januvia and Janumet. Paying for the efficacy of drugs is a logical extension of how the U.S. wants to finance healthcare. Medicare rewards hospitals that deliver good care and penalizes those with high levels of costly readmissions. Private insurers have created narrow networks with selected health systems and doctors presumably based on their low costs and superior quality. It's unclear whether value-based deals between drug companies and payers save money. Successful partnerships will need clear outcomes and data-sharing. But building value-based payment structures has been far from easy and likely won't become any easier for pharmaceuticals. 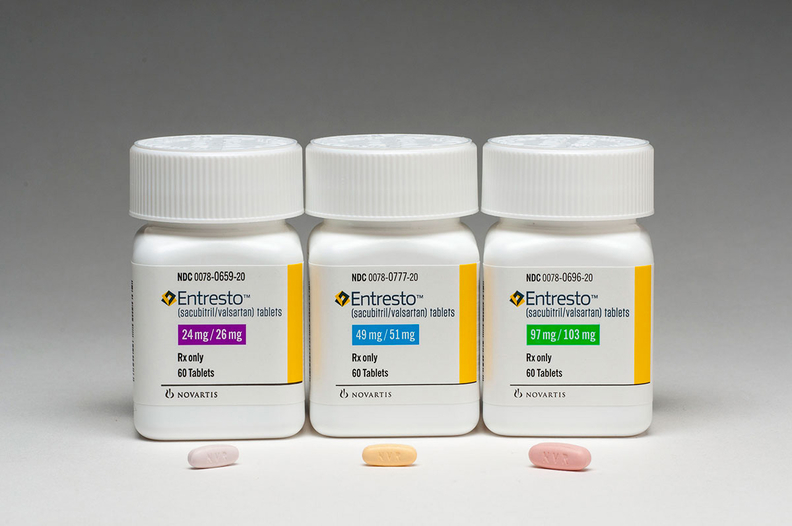 For instance, the Entresto deal will involve changing the prescribing behaviors of cardiologists, who are accustomed to using cheap, effective generic drugs and may be less inclined to switch to the more expensive Entresto. Monitoring subsets of heart-failure patients who take Entresto to determine if reduced hospitalizations are a result of the new drug or from other outside factors also may prove to be challenging. “I think we have underestimated how difficult they are to do because they are conceptually so appealing,” said Peter Neumann, director of the Center for the Evaluation of Value and Risk in Health at Tufts Medical Center in Boston. The most difficult hurdle may come once insurers, PBMs and drug companies have agreed on measurable, clinically relevant metrics. Those groups then have to share their medical and pharmacy data to track outcomes, which requires a high level of cooperation from fierce, often unfriendly negotiators. “You have to have necessary data and infrastructure to track these outcomes,” said Dr. Walid Gellad, an associate professor of medicine and health policy at the University of Pittsburgh who studies drug prescribing. Discounts and rebates remain the biggest unknown. Companies don't disclose financial terms, and many critics have argued that negotiated discounts on inflated prices do not solve the underlying cost problem, even if the drugs work as advertised. Ideally, agreements would include a money-back guarantee, Gellad said. Or companies could weigh pricing benchmarks from groups like the Institute for Clinical and Economic Review, instead of relying on opaque rebates. Sales of Entresto totaled only $21 million in 2015, peanuts for a drug company that had $49 billion in total revenue last year. Novartis estimated peak global sales for the drug could reach $5 billion, and some wonder if its value-based contracts are a move to hit a larger patient base. “We need to be candid as to what triggered this deal,” said Craig Oberg, a managing consultant at the Burchfield Group, a pharmacy benefit consultancy. Indeed, Novartis executives told investors last month that sales were slow because of limited access, mainly to Medicare beneficiaries. Roughly 65% of Entresto's target patients are on Medicare, but Medicare Part D blocks new medicines from its formulary for the first six months they are on the market. Drugmakers like Novartis will view value-based contracting as an outlet to obtain coveted formulary access.